All currency pairs are moving according to the forecast. 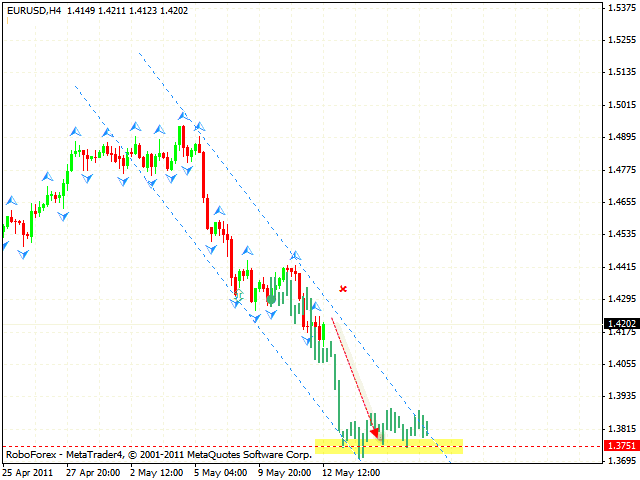 At the moment one can consider selling the EUR/USD currency pair with the target in the area of 1.3750. The stop must be above 1.4240. If the price breaks the channel’s upper border, this case scenario will be cancelled. Franc is moving inside the rising channel. 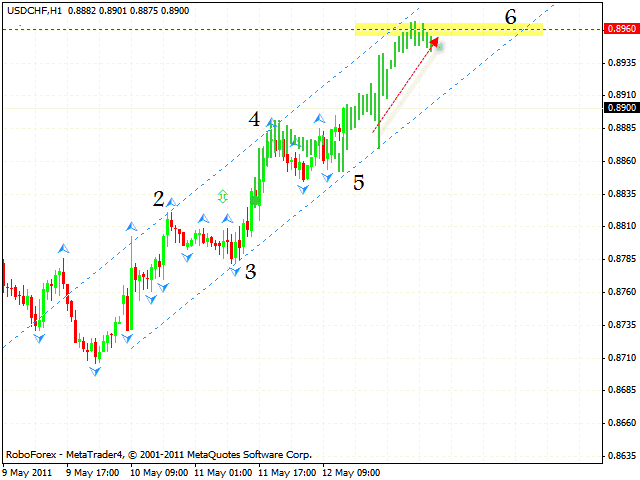 We should expect the pair to keep growing to the level of 0.8960 and can consider buying it with the tight stop. If the price breaks the channel’s lower border and leaves it, this case scenario will be cancelled. Canadian Dollar is forming the right “shoulder” of “head & shoulders” reversal pattern. 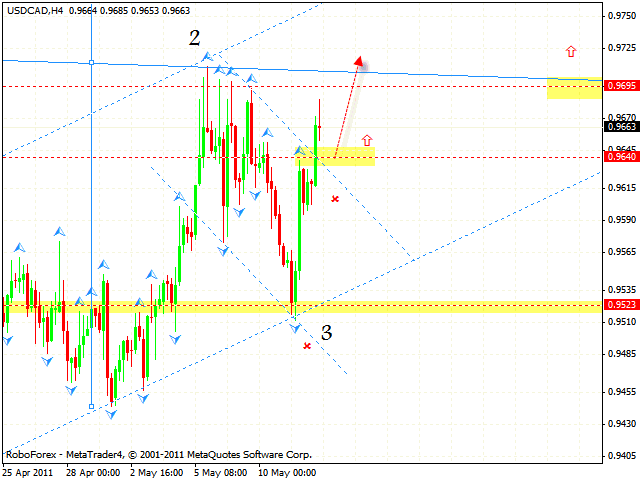 One can consider buying the USD/CAD currency pair with the tight stop below 0.9615 near the level of 0.9640. After the price breaks the neckline, we can increase the amount of long positions. Australian Dollar has reached all the targets of “failure swing” reversal pattern. Currently we should expect the price to keep moving downwards to the level of 1.0510. 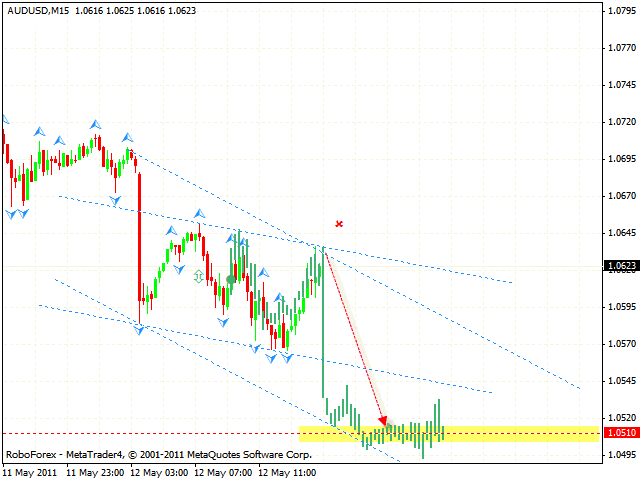 One can consider selling the pair at current levels with the stop above 1.0645.